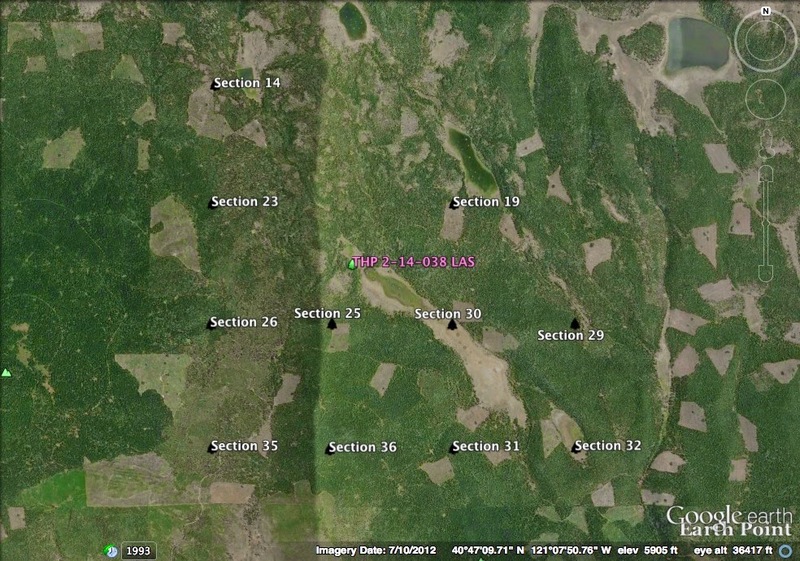 THPBlog: Sierra Pacific Industries to clearcut log near Blacks Mountain Game Refuge. Sierra Pacific Industries to clearcut log near Blacks Mountain Game Refuge. This THP is approx 14 miles NE of Old Station, CA near the Blacks Mountain Game Refuge and Bear Valley Reservoir in eastern Lassen County. Sierra Pacific Industries is planning a clearcut tractor based logging operation in ponderosa pine and Jeffrey pine forests at an elevation of 5,840 to 6,680 feet. They want to use temporary so called "jump roads" to access landings and clearcut units for log processing. There is 1 goshawk nest site within 550 feet of unit 3, and 1 goshawk nest site approx 2 mi NE of the THP area. Three sandhill crane sightings were reported within .5 mi of the THP area; including sightings at Bear Valley Reservoir, Schroder Lake and Busters Reservoir. More information is available on the THP Tracking Center website.